Alexandra Kollontai was a key leader of the Russian Socialist movement and her writings on women's liberation and Marxism have been essential reading for generations of activists. 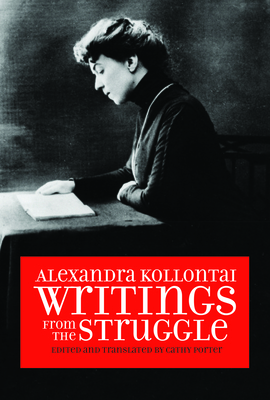 This book is a collection of newly translated writings by Kollontai from her time in exile in Germany and her years leading the Women's Bureau in post-revolutionary Russia. Kollontai worked tirelessly all her life as an organizer and wrote dynamically about her experiences and how they shaped the debates on women's emancipation. These writings illustrate the political arc of woman who dedicated her life to the struggle for a better world and shares her work with an emerging generation of fighters for women's liberation. Cathy Porter is a translator, teacher, and researcher on Russian history. She is the author of Alexandra Kollontai: A Biography, Fathers and Daughters: Russian Women in Revolution and translator of Alexandra Kollontai's Love of Worker Bees.